Qui tam lawyer Lee Wallace has prepared this page for her whistleblower clients who want to learn more about the damages when a contractor delivers nonconforming products to the Government. An honors graduate of Harvard Law School, Lee couples her education with 20 years of legal experience to help relators file lawsuits against companies that are defrauding the Government. Contact False Claims Act Attorney Lee Wallace today to find out if she can help you hold a government contractor accountable for its fraud. Lee Wallace has been named one of Georgia’s Top 100 Trial Lawyers, and she has handled legal matters nationwide, in 20 different states. If you have information about fraud against the Government, do not hesitate to contact us. A “relator” is a whistleblower who files suit under the False Claims Act. “Nonconforming goods” are items, products or services that do not meet the specifications of the contract made with the Government. Whistleblowers are entitled to bring False Claims Act lawsuits when government contractors do not provide the goods they agreed to provide. Whistleblowers who bring successful FCA cases are entitled to receive between 15% and 30% of all the money that the Government recovers. If a company violates the False Claims Act, the Government can collect “3 times the amount of damages which the Government sustains because of the act of that person.” 42 U.S.C. § 3729(a)(1). The violator also is liable for a civil penalty of between $5500 and $11,000 for each false claim it made to the Government. In some cases – for example, in the case of a doctor or hospital that bills for many, many patients – this penalty can be very significant. The Government is entitled to receive what it contracted to get. If the courts arbitrarily limit the Government’s damages to the difference between the value of the goods that the Government requested and the value of the goods it received, then contractors have no incentive to provide the Government with what the Government asked for. The contractor could arbitrarily decide to substitute any item it wanted, and simply pay the difference. “where the government has provided funds for a specified good or service only to have defendant substitute a non-conforming good or service, a court may, upon a proper finding of False Claims Act liability, calculate damages to be the full amount of the grant payments made by the government after the material false statements were made.” Feldman v. van Gorp, 697 F.3d 78 (2d Cir. 2012) (emphasis added). See also U.S. v. Aerodex, Inc., 469 F.2d 1003 (5th Circuit 1973). In that case, Dr. Wilfred van Gorp had sued Cornell University Medical College (“Cornell”) for fraud in obtaining a T32 grant for HIV and AIDS research from the National Institute of Health’s (NIH) program called the“Ruth L. Kirschstein National Research Service Award Institutional Research Training Grant. The intent of the program was to train students “with the primary objective of developing or extending their research skills and knowledge in preparation for a research career.” Id. The Government agency very specifically said that the program was not intended to fund general training for students headed into clinical work. Don’t give up. You CAN stop fraud.  It all starts with a FREE consultation with our team to discuss your case and what you can do. Contact our office at (404) 814 0465.